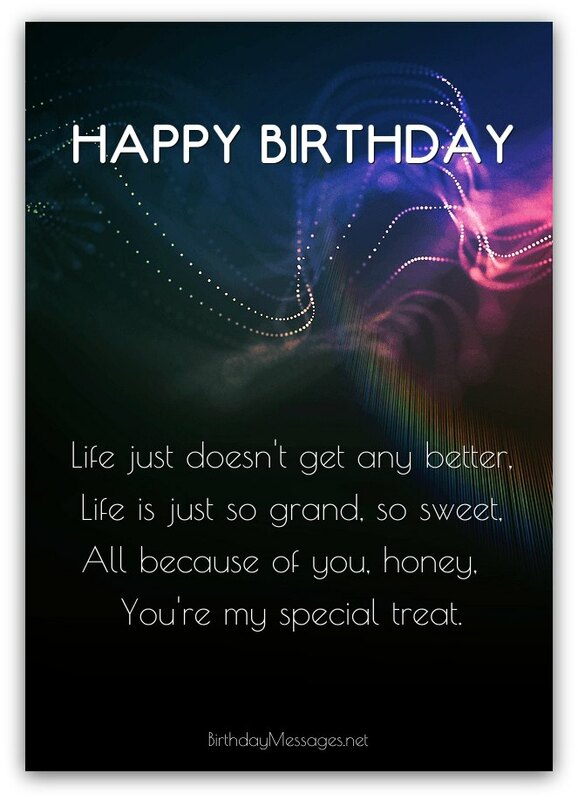 Give your sweetheart perfectly romantic birthday poems, the kind with beautifully written birthday messages of endless love and joy — the kind you'll find here. Because romantic love has inspired some of the most beautiful and passionate poetry, there are so many (maybe too many) to choose from. 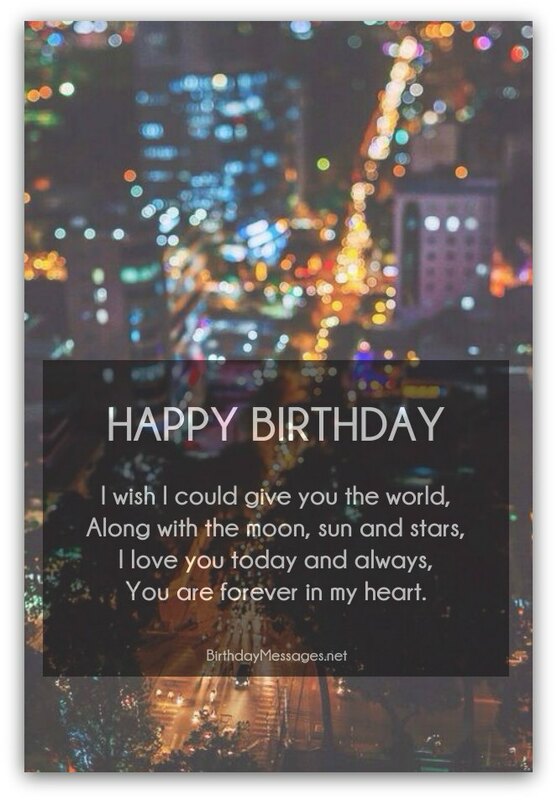 Here, I've narrowed the field somewhat and written and picked "birthday" poems for romancing your special someone. If you're ready to select a poem packed with heartfelt passion for your fiancé, lover, girlfriend, boyfriend, husband or wife, get started right below. It never hurts to have a little help when it comes to choosing romantic poems for your sweetheart's birthday. That's why you should spend a minute or less reading my helpful hints on this very subject. Interested? 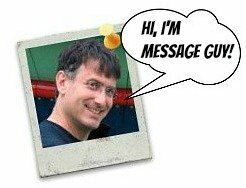 Just click here to read Message Guy Tip #94. Then, you'll be a pro at selecting romantic birthday poems! So deeply, so purely, so much. You make my life truly complete. And mesmerize you with my charm. The reason I’m so giving. A gift that you can take hold of. I'm just so lucky to have you. As special and wonderful as you. It makes no difference, dear. You drive me wonderfully wild. True to the promises I've made.